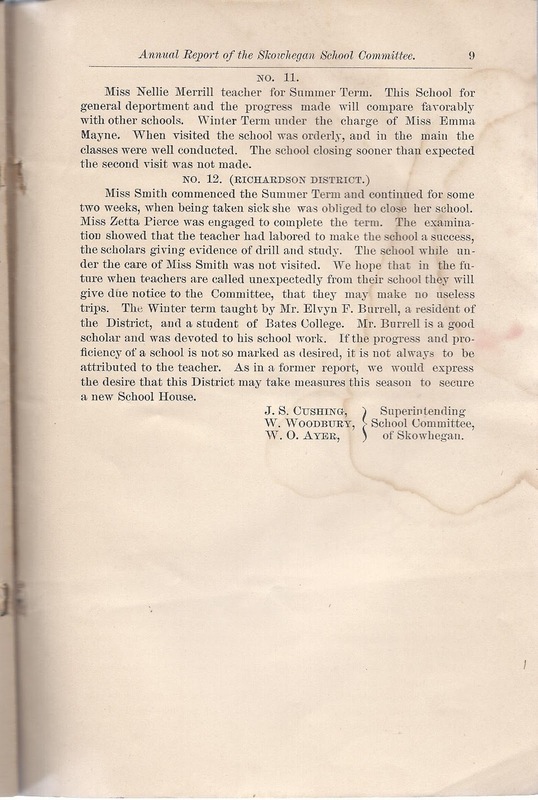 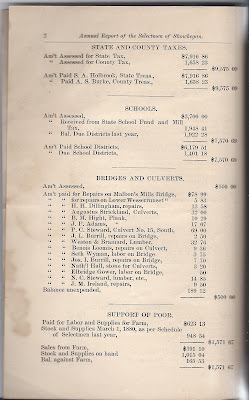 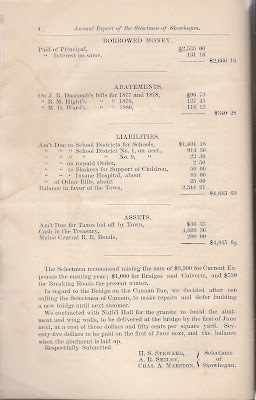 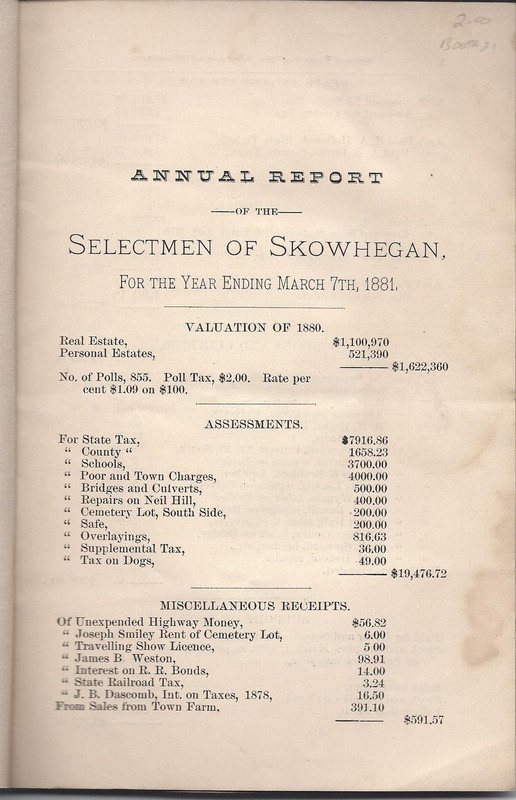 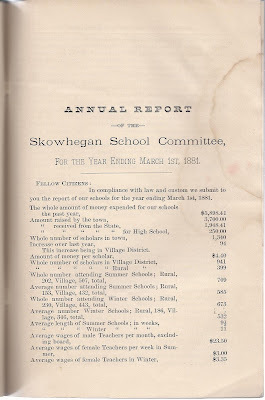 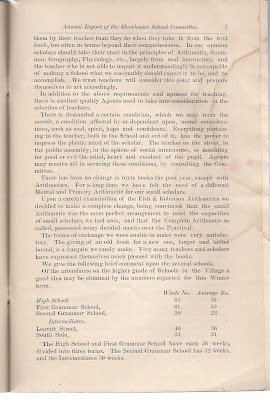 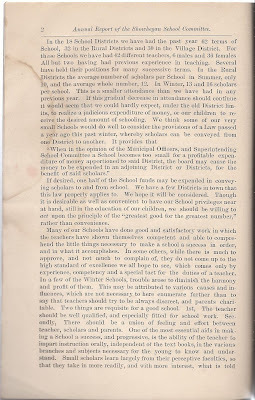 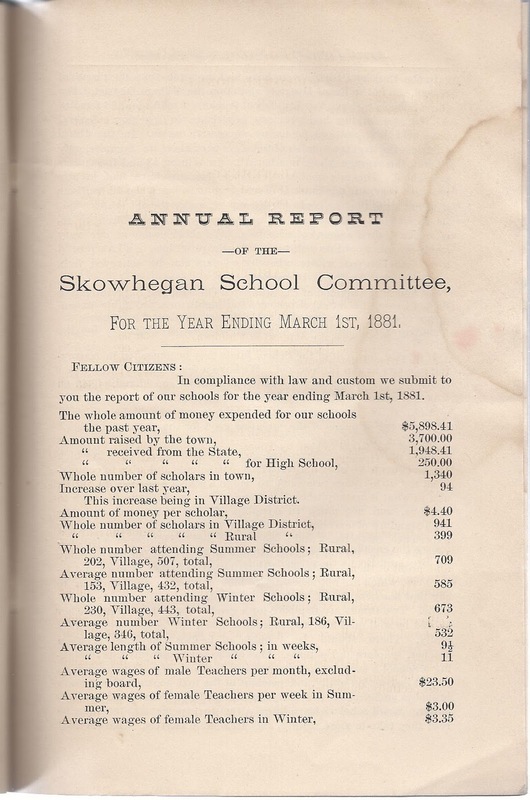 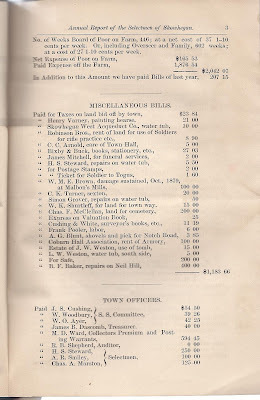 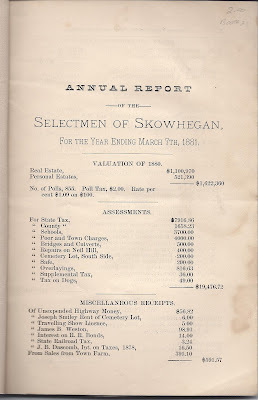 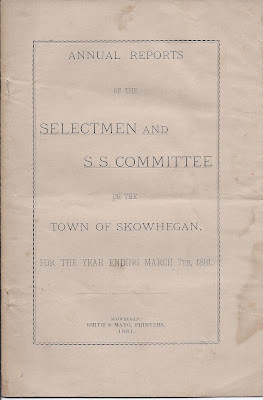 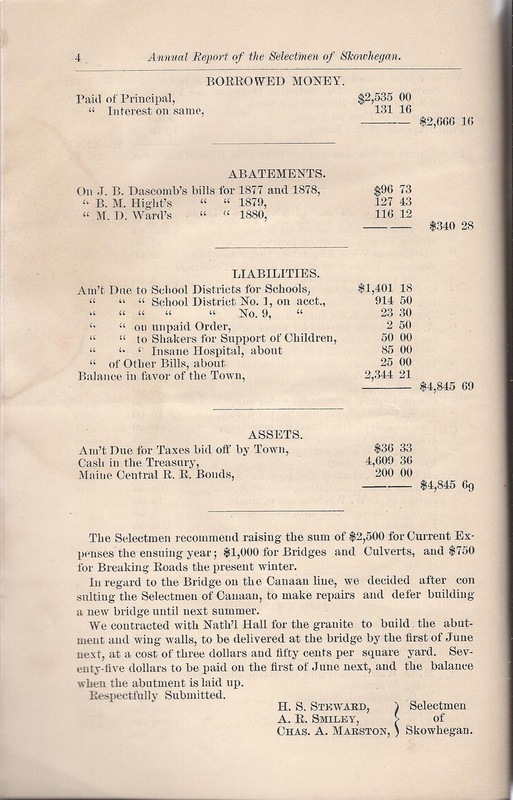 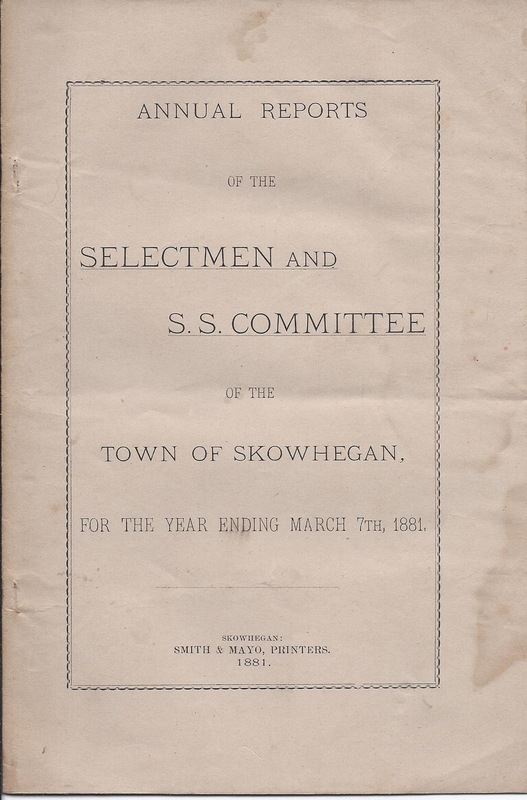 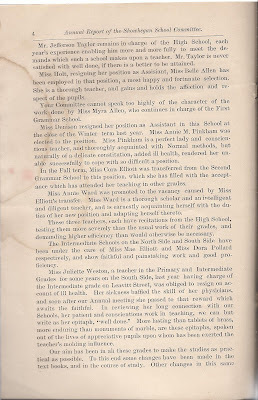 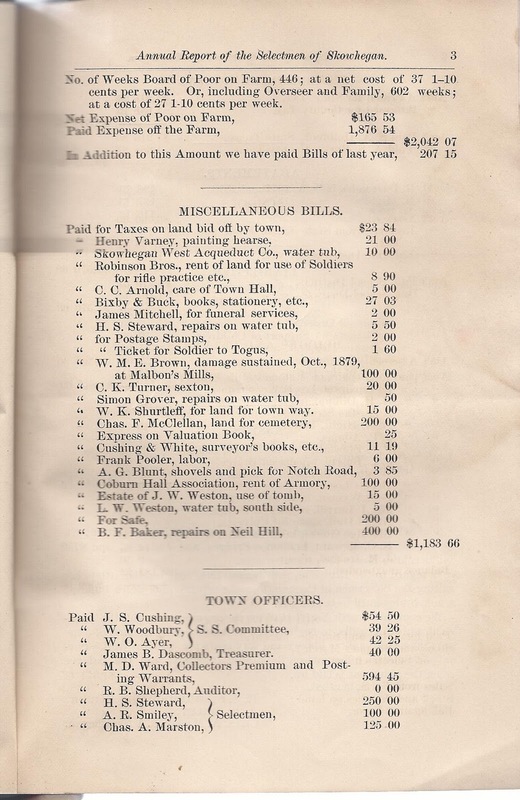 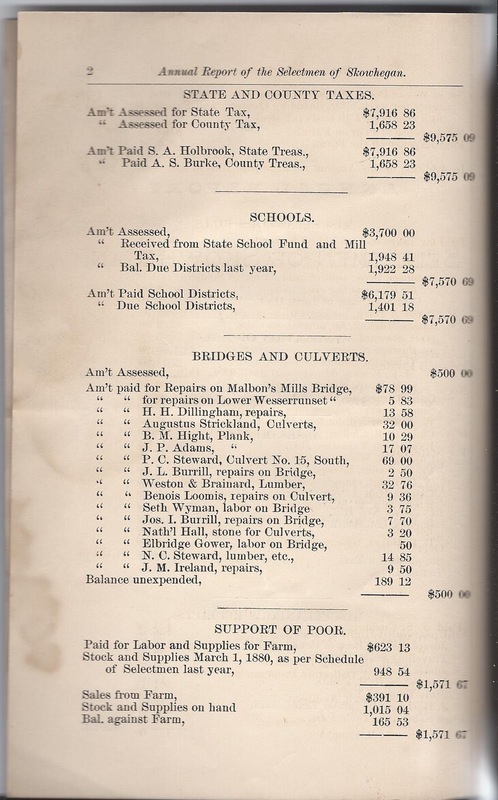 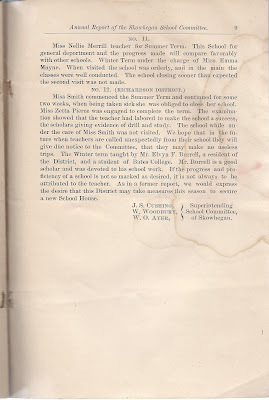 Annual Report of the Selectmen and S. S. Committee of the Town of Skowhegan, for the Year ending March 7th, 1881. 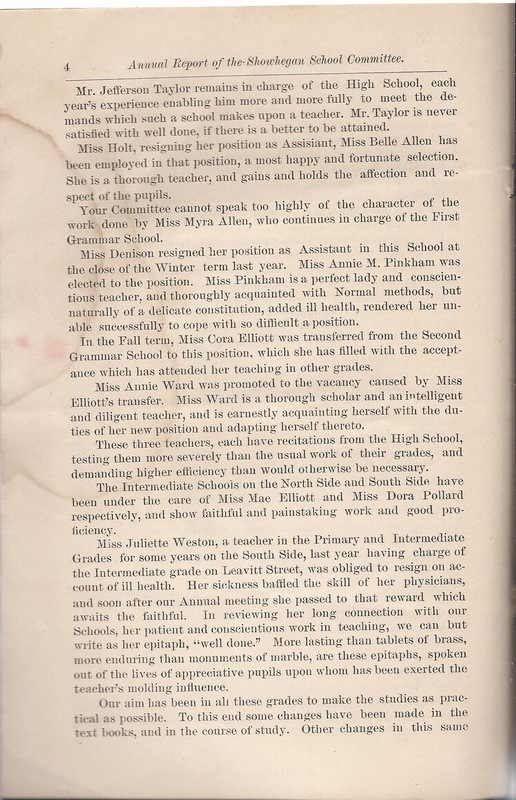 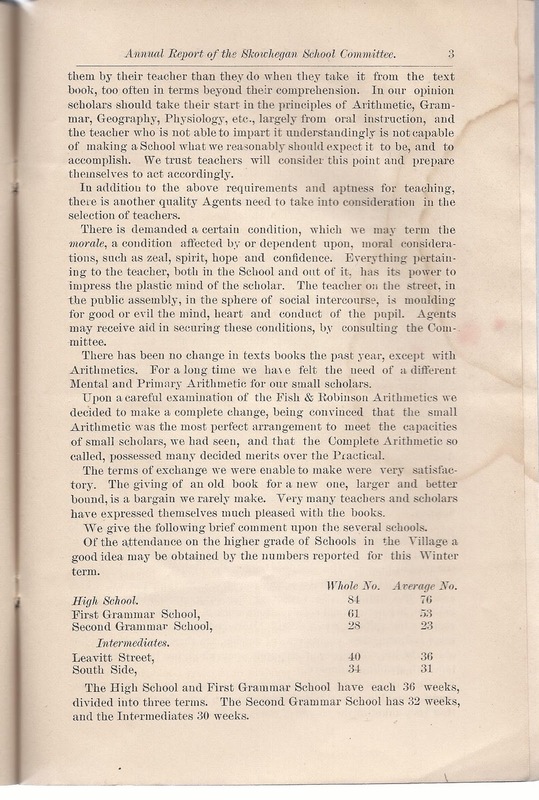 Any names mentioned on pages will be transcribed beneath the scans. 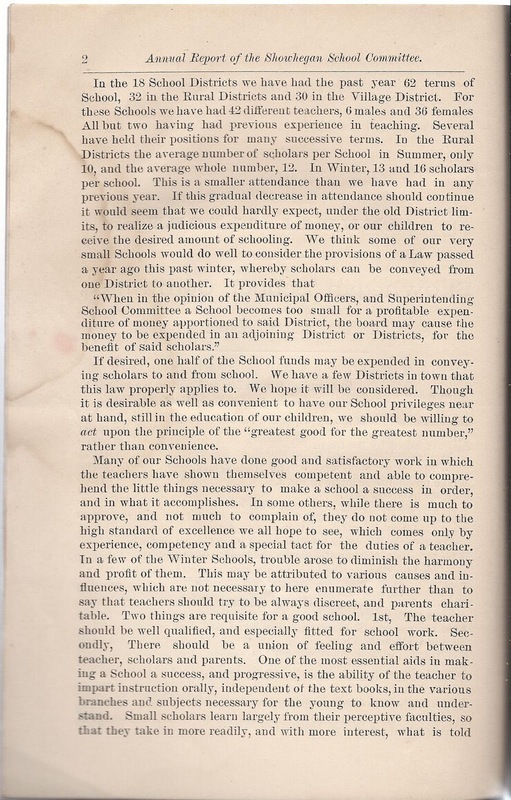 Sadly there are some pages missing [5,6,7,8] in the School Committee section.